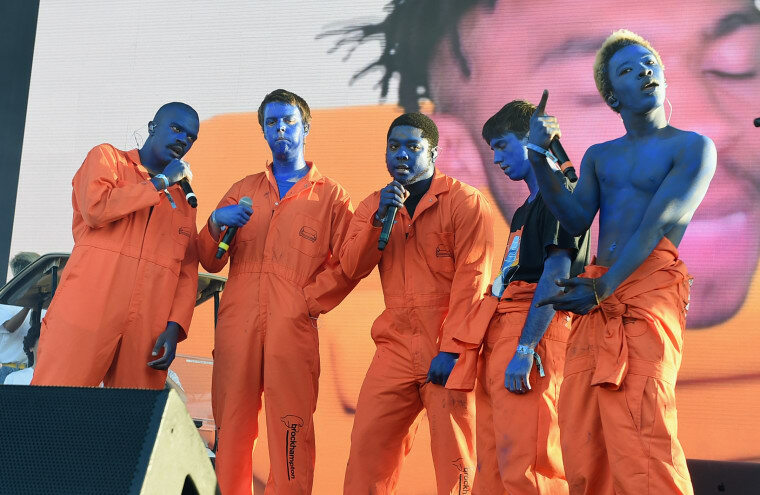 Brockhampton teased their latest collection on Friday with a sweet warm weather look book for their s/s '18 line of merch. The items are officially available for purchase via the Brockampton shop site. The group have enjoyed quite the productive weekend, aside from the dazzling look book, they also announced a recording contract with RCA records on Friday. You can head over here now to nab some colorful pieces for your spring and summer time 'fits.